Campaigners have had a few tries at getting the service resumed, but with no luck – although Hamilton’s Councillors appear to be softening with worsening congestion in Auckland, and the contrasting success of the new Auckland Trains. With more people commuting between Auckland and Hamilton, and the likely rubber stamp for the 3rd mainline into Auckland will make train journey times more attractive. The good news is that the timing is good. Auckland’s old trains have been parked as new electric trains have entered service, and could be refurbished cheaply or even rebuilt to re-establish the services. The Wairarapa Connection style of train is an example of what Auckland’s old trains could be rebuilt into. The Wairarapa train connects Wellington to Masterton five times each day, and has become more popular since the introduction of the new carriages in 2008 and an expansion of the service is likely in the next couple of years. Wellington to Masterton train provides a modern and comfortable commute that rivals car journey times. The train is also popular with young people in the holidays, and gold card holders in off-peak times. The decision to investigate an inter-regional commuter rail service has been heralded as a sea change in regional council thinking. 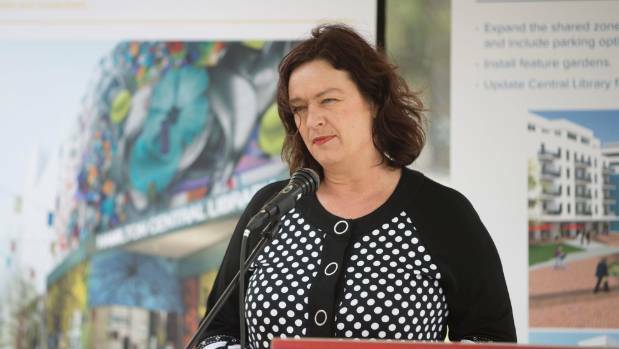 Waikato District Mayor Allan Sanson said the results of a detailed business case were in more than seven years ago, and outgoing Labour MP Sue Moroney said it’s about time regional council got on board. On Tuesday, Waikato Regional Council’s strategy and policy committee voted in favour of a detailed business case into a passenger rail service between Hamilton and Auckland. Indicative costs are set at $30,000 to $50,000. The business case will define the need, recommend solutions and funding options. Hamilton City councillor Dave Macpherson, who has been nudging regional council on the issue at regional transport committee meetings, said a comprehensive study is a big step forward. In 2010, rail advocates collected more than 11,000 signatures in support of a rail link between the two cities. It was taken to the select committee but failed. The following year, the Rail Working Party made its case with a feasibility study but has been in limbo ever since. The need for commuter rail is even greater now, said Macpherson, adding that the regional council’s position is “clear cut”. Mayor Sanson said the regional council is recreating the wheel. “It has been done. I can get why they probably think there may be some differences but I can’t see anything that has fundamentally changed in seven-and-a-half years,” Sanson said. Cost blowouts, the capacity of Auckland’s network to take extra services, getting a Waikato-based train into Britomart Station and a two-hour trip still exist as huge barriers, he said. The first of Sanson’s baby steps is to extend Auckland’s rail network to Mercer. “What we’ve always advocated is getting a train down as a far as Mercer and putting in a park and ride, allowing those people to commute from there by train. Moroney, who has advocated for the rail connection since 2008, said regional council needs to represent the region’s needs. “I really hope this time they will press ahead, irrespective of whether they get push back from central government or not,” Moroney said. “Can we please just learn the lessons from the mistakes made in Auckland. The article below was published online on the Stuff website on May 9th. Its about time we saw bike racks on Wellington busses – I first used them in Christchurch in 2010! Even cities in the US have bike racks on their busses!